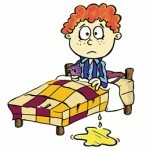 Nocturnal enuresis or bedwetting is a medical problem and not a behavioral problem. Before a child reaches 6 years old, it is very common for the child to suffer from bedwetting problems, so it will be useless for parents or guardians to scold the child for wetting his or her bed during sleep. There are several different types of bedwetting and at the same time, there are also numerous possible causes for bedwetting. 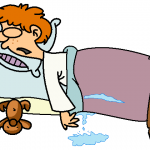 Bedwetting is not a problem for children alone, even adults can wet their beds during sleep. Before starting any treatment regimen, may it be herbal remedies, medical treatment, psychological treatments, etc., it is with utmost importance for you to seek consult with your doctor or physician about your bedwetting problem. For the physician to diagnose and know the exact cause of your bedwetting problem can be very helpful in deciding and knowing what will be the right treatment for your bedwetting problem. 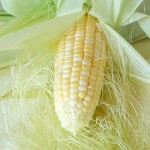 Potassium Hydrate or Causticum Hahnemmani – This type of treatment is made of calcium hydroxide and potassium bisulphate. It is indicated that the use of potassium hydrate or causticum hahnemmani will be more effective when bedwetting occurs during the first few hours after the patient fell asleep. Sepia – Sepia is derived from cattlefish ink that can be used in treating a number of medical conditions. The use of sepia as a homeopathic remedy for bedwetting is more recommended for women and girls, and not all people find sepia to be effective since it’s believed that sepia fits a specific personality type, namely the extroverts and intelligent. Pulsatilla Nigricans – This type of homeopathic remedy is madefrom meadow anemone, a flower commonly found in Northern Europe. Just like in Sepia, Pulsatilla nigricans is effective when used in certain personalities, namely gentle, mild, and easy going. Before the use of any of the 3 homeopathic remedies, it is very important for you to ask your doctor or physician whether you are fit to use those homeopathic remedies. If used incorrectly, bedwetting may worsen and maybe there will be a rise to other medical conditions as an adverse effect from the homeopathic remedy.